With the occasional tabloid speculation over David and Victoria Beckham getting divorced there will inevitably be much legal fight over who gets custody of their smug faced talent vacuum of an eldest son Brooklyn. But eventually and very sadly one of them will lose their custody battle and will end up having to keep him. 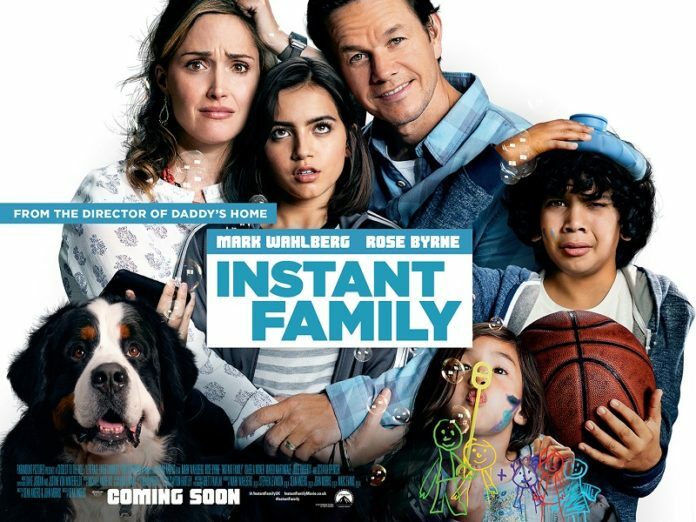 Instant family is different in that husband and wife Pete (Mark Wahlberg) and Ellie (Rose Byrne) don’t have any children (and certainly none that they can parade in front of the worlds cameras when it suits them). Realizing that they have an emptiness at the centre of their marriage Ellie persuades Pete that they should adopt in a funny but slightly sad moment as he scrolls through a fostering website with children making their tear jerking plea for parents. It’s all done in a humorous way but at its heart you know that this is only too true for so many parentless children and that’s generally the tone that Instant Family sets up as they go to a fostering class with other would be parents. Those parents include a gay couple, a devoutly religious pair and best of all a single white woman determined to have a black child of sporting excellence aptitude and it’s her sporadic appearances that have many of the best laughs. So whilst at a garden fete they attend with all the parentless children they determine not to adopt any teenager who all hang about away from the other younger kids and it’s a sad truism of the film that that foster parents want a young child not a teenager as we all remember how bad we all were at that age. It’s the two foster co-ordinators, Sharon (Tig Notaro) and Karen (Ocatavia Spencer) a funny double act who persuade them to consider a Latino teen called Lizzy (Isabela Moner) who has two younger siblings and which the foster company are keen to keep together. Unable to resist the charms of the three children they decide to foster with a view to adopting and the fantasy of these delightful kids soon turns into a reality check as they quickly become a nightmare. 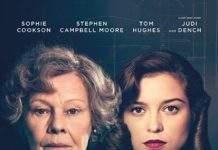 The little girl is a brat when she doesn’t get what she wants, the boy is almost fatally accident prone and yes, the teenage girl turns out to be a right little madam. It’s not helped when Lizzy is understandably trying to facilitate their real mother to take them back despite her being a convicted felon with a drug habit. In fact Lizzy becomes more of a concern to her foster parents when she strikes up am over friendly friendship with the surfer dude school caretaker with an eye on the students and treats the school like a lucky dip for paedophiles. Though the outcome is never in doubt much of what is depicted here does have a sense of reality about the ups and downs that all parents go through and this being an American film is not without its fair share of saccharine sentimentality none more so than the end when it goes all out to get those tear ducts flowing. 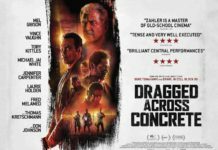 It would be easy to be cynical about the film but there’s something at the heart of this that you can’t help but liking. Well intentioned with a reminder out there that through no fault of their own there are children who deserve the love of a family and in that respect it does play like a recruitment film for fostering and frankly that’s no bad thing. Instant Family is a joyous little film with a positive message about family (and not the type of faaaaamily that Vin Diesal drawls on about in Fast And the Furious). 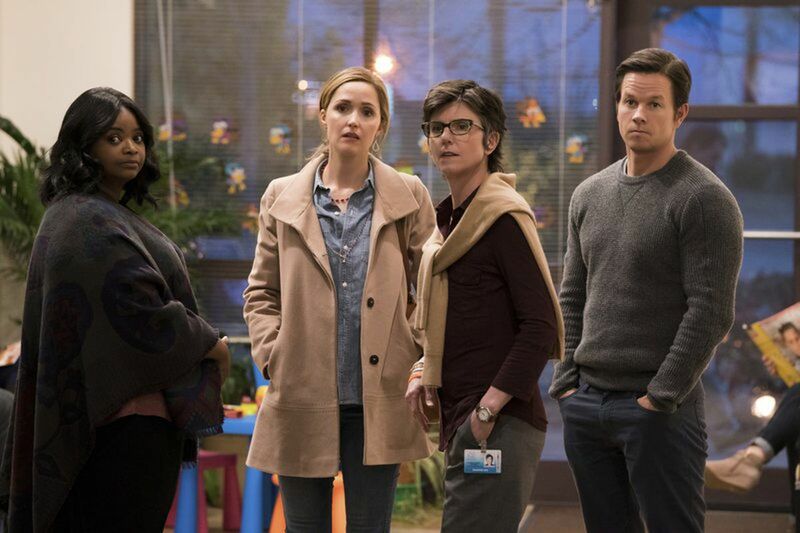 Here’s the Instant Family trailer……. So who will get the credit for directing ‘Solo’?